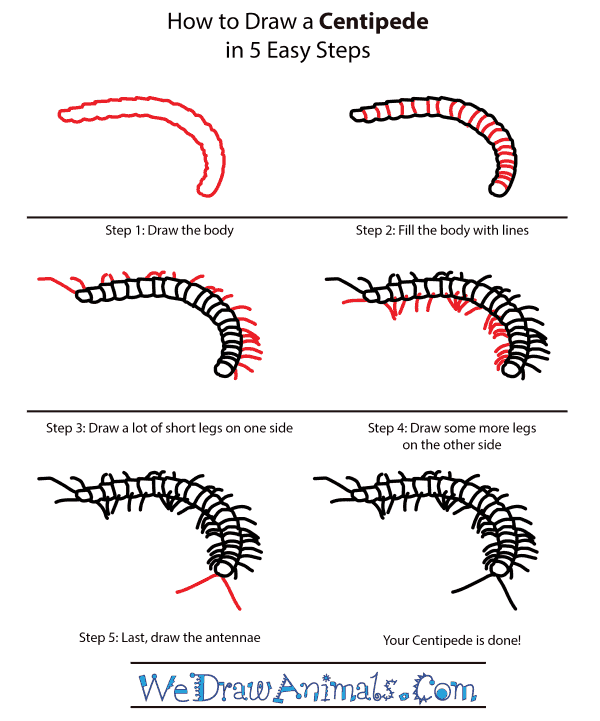 In this quick tutorial you'll learn how to draw a Centipede in 5 easy steps - great for kids and novice artists. 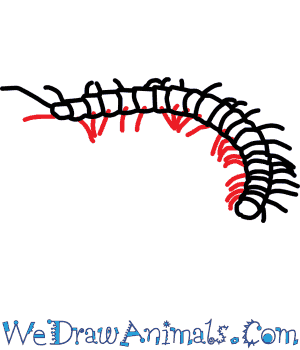 At the bottom you can read some interesting facts about the Centipede. 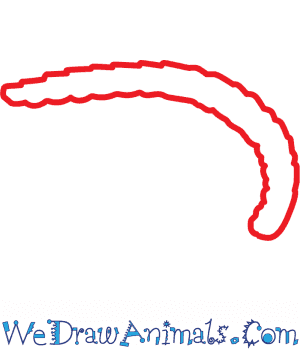 Step 1: For the body, draw a long, arcing cylindrical shape. Step 2: Segment off the body with many short lines. Step 3: On one side of the body, draw a lot of short, thin legs. Step 4: Draw similar short, thin legs on the other side. Step 5: Finally, draw the antennae and you're done! 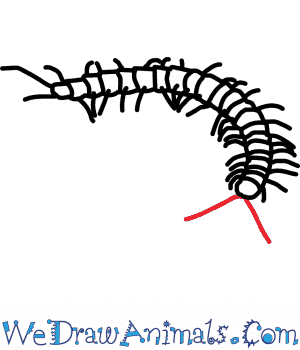 Centipedes belong to a group of arthropods because they are small invertebrates. 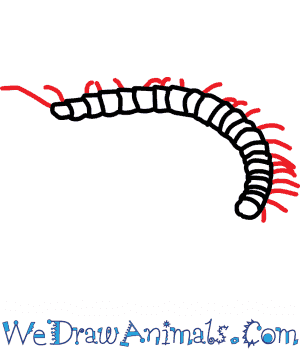 Believe it or not, there are over eight thousand species of centipedes that are located all throughout the world. This includes up in the Arctic. Even though they live in forests and rainforests, they prefer dark, moist places. The most common place to find them is under rocks, rotting wood, and under decomposing leaves. 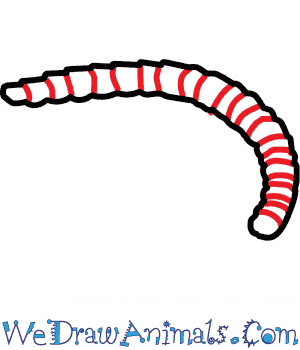 With all of the species still in existence, the Centipede has not made it onto the Endangered Species list. 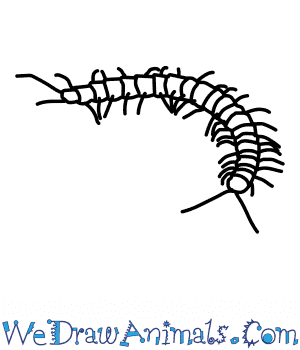 Lesson Plan Idea – Centipedes are creepy crawlies who live under rocks – but what is the point? What do they do that is beneficial to our ecosystem?